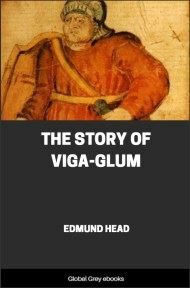 This is a collection of texts relating to the voyages of the Norse west to America. It contains all known sagas and documentary fragments which relate to this legendary exploration. It also contains analysis of the texts which should be read with a critical eye. 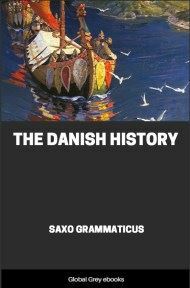 While it is now certain that the Norse reached Nova Scotia, the claims in this book that they reached as far south as Boston--not to mention Georgia or South Carolina--are still controversial. THE Icelandic discovery of America was first announced, in print, more than two centuries and a half ago. Within the past fifty years of this period, the discovery has attracted more general attention than during all of the interval preceding,--a fact, which is no doubt traceable to the publication, in 1837, of a comprehensive work upon the subject prepared by the Danish scholar, Carl Christian Rafn. Although it is now more than half a century since this book was published, Rafn is still very generally regarded as the standard authority upon the subject of which he treats. But his zeal in promulgating the discovery seriously prejudiced his judgment. His chief fault was the heedless confusing of all of the material bearing directly or indirectly upon his theme,--the failure to winnow the sound historical material from that which is unsubstantiated. 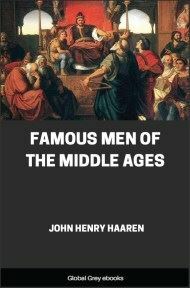 Rafn offered numerous explanations of the texts which his work contained, and propounded many dubious theories and hazardous conjectures. With these the authors, who have founded their investigations upon his work, have more concerned themselves than with the texts of the original documents. If less effort had been applied to the dissemination and defence of fantastic speculations, and more to the determination of the exact nature of the facts which have been preserved in the Icelandic records, the discovery should not have failed to be accepted as clearly established by sound historical data. 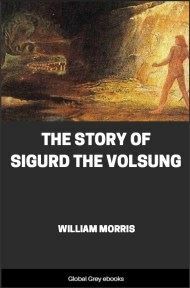 Upon any other hypothesis than this it is difficult to account for the disposition American historians have shown to treat the Icelandic discovery as possible, from conjectural causes, rather than as determined by the historical records preserved by the fellow-countrymen of the discoverers. "The story of the colonization of America by Norsemen rests on narratives mythological in form, and obscure in meaning, ancient yet not contemporary. The intrepid mariners who colonized Greenland could easily have extended their voyages to Labrador, and have explored the coasts to the south of it. No clear historic evidence establishes the natural probability that they accomplished the passage, and no vestige of their presence on our continent has been found." "The extremely probable and almost necessary pre-Columbian knowledge of the northeastern parts of America follows from the venturesome spirit of the mariners of those seas for fish and traffic, and from the easy transition from coast to coast by which they would have been lured to meet more southerly climes. 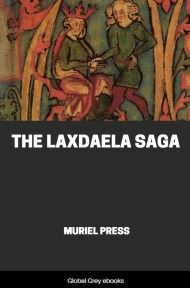 The chances from such natural causes are quite as strong an argument in favor of the early Northmen venturings as the somewhat questionable representations of the Sagas." 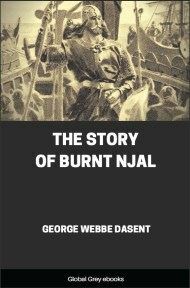 "Everywhere else where the Northmen, went they left proofs of this occupation on the soil, but nowhere in America, except on an island on the east shore of Baffin's Bay, has any authentic runic inscription been found outside of Greenland." If the authenticity of the Icelandic discovery of America is to be determined by runic inscriptions or other archælogical remains left by the discoverers, it is altogether probable that the discovery will never be confirmed. The application of this same test, however, would render the discovery of Iceland very problematical. The testimony is the same in both cases, the essential difference between the two discoveries being, after all, that the one led to practical results, while the other, apparently, did not (*). The absence of any Icelandic remains south of Baffin's Bay makes neither for nor against the credibility of the Icelandic discovery,--although it may be said, that it is hardly reasonable to expect that, in the brief period of their sojourn, the explorers would have left any buildings or implements behind them, which would be likely to survive the ravages of the nine centuries that have elapsed since the discovery. "In the month of February, of the year 1477, I sailed one hundred leagues beyond the island of Tile, the southern portion of which is seventy-three degrees removed from the equinoctial, and not sixty-three, as some will have it; nor is it situated within the line which includes Ptolemy's west, but is much further to the westward; and to this island, which is as large as England, the English come with their wares, especially those from Bristol. And at the time when I went thither the sea was not frozen, although the tides there are so great that in some places they rose twenty-six fathoms, and fell as much. It is, indeed, the fact that that Tile, of which Ptolemy makes mention, is situated where he describes it, and by the moderns this is called Frislanda." John and Sebastian Cabot are supposed, by similar theorists, to have derived knowledge of the Icelandic discovery through the English, and especially the Bristol trade with Iceland. These theories do not require further consideration here, since they have no bearing on the primitive history of the Wineland discovery.